EghtesadOnline: Iran's Ministry of Foreign Affairs agreed with the draft of the bill by the Parliament (Majlis) in retaliation to the new US sanctions against Iran, a senior official said on Saturday. 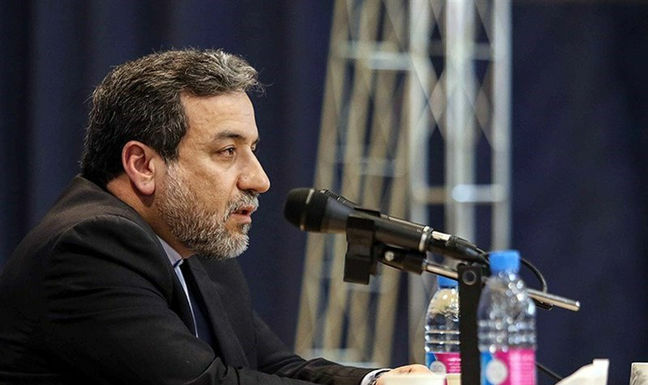 It is necessary to take due action in response to the US 'hostile' and 'evil' move, especially because of the effects it may have on the implementation of the Joint Comprehensive Plan of Action (JCPOA) and decreasing Iran's benefitss, Deputy Minister of Foreign Affairs Abbas Araqchi said on Saturday. He, who is also head of Iran's committee overseeing the implementation of JCPOA, after the meeting of Parliament National Security and Foreign Policy committee, told reporters that the US is violating articles 26, 28 and 29 of the JCPOA that should be responded appropriately, IRNA reported. He expressed hope that the bill which has been generally approved in the committee would be implemented as soon as possible. Noting that the US lack of commitment have been notified to the Joint Commission, Araqchi added: at the end of the Commission, all members clearly urged implementation of JCPOA by all the parties with good will, in a constructive atmosphere, and all agreed on the violation cases on the American part highlighted by Iran.